Since I complained about the Brownies on the previous page, I thought I would show the other end of the spectrum. This was Kodak's top of the line, and a very nice machine it was. They are still expensive even today. One of the ways to grade Kodaks is by the lens they gave the camera. 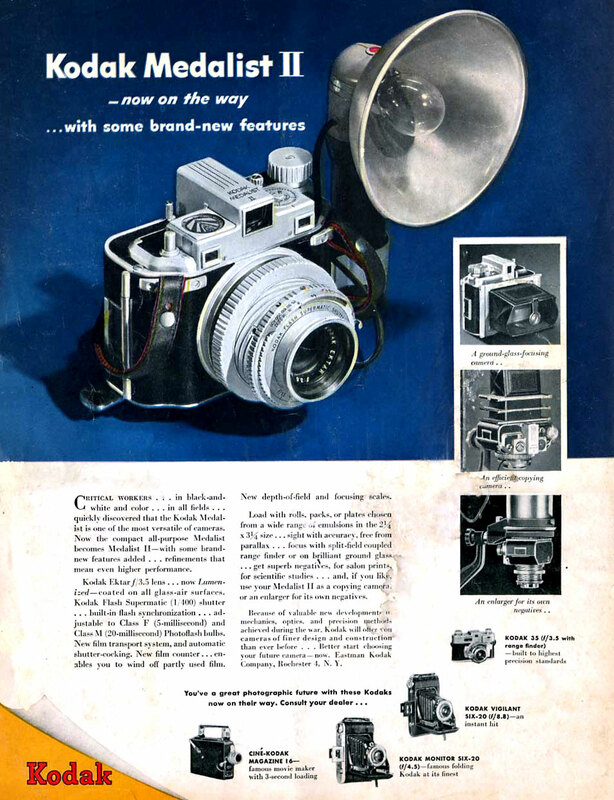 The best cameras had Ektars (Kodak's premium view camera lenses were Commercial Ektars). The next step down was an Ektanon. Then down into the Koda-prefixed lenses. I believe the worst might be the Kodars, or perhaps Kodets, which were little more than window glass.